There are a number of ways to judge the quality of a dunk. The dunker reaction is a good sign. The best dunks get an exuberant reaction from the bench. How much the crowd enjoys it is also a good barometer. At least, those were all valid indicators before. Now, the only legitimate way to determine if a dunk is good is is if a man in a Batman costume breaks into a dance as a result. 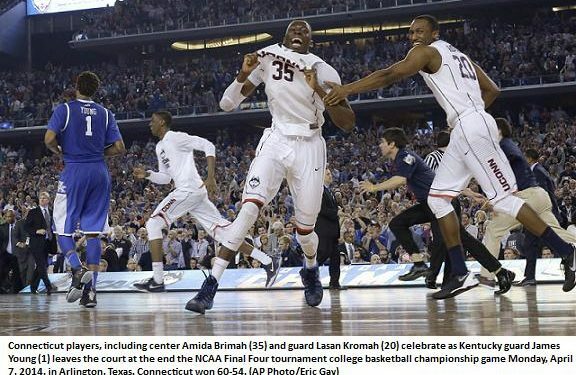 Amida Brimah changed the game. Forget trotting out Dr. J and letting Kenny Smith yell “it’s over” all night. The only judge the NBA Dunk Contest needs is this man in a Batman costume. The level of dance moves each dunk inspires is the grading we need. Forget holding up 10 cards, let Batman shimmy.